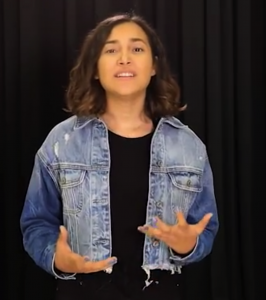 LatinaLista — No longer can parents delude themselves into thinking that the huggable baby fat encasing their adorable kindergartner with the plump, dimpled cheeks will just disappear with age. A recent study released by Emory’s Rollins School of Public Health found, unfortunately, that likely won’t happen. Researchers discovered that overweight kindergarteners were four times as likely as normal-weight children to become obese by the 8th grade. 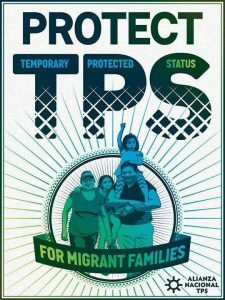 For many Latinos, a scholarly report such as this isn’t needed to validate what can be seen on a daily basis among our own children, nieces, nephews and grandchildren. It’s well documented that Latino kids suffer disproportionately from weight problems: 39.1 percent of Latino kids ages 2-19 are overweight or obese, compared to 31.8 percent for U.S. children overall. Thanks to First Lady Michelle Obama, who has spearheaded healthy eating and exercise initiatives across the country, many more Latino families are aware that there is a way to change their children’s destiny with heart disease, diabetes, cancer and any other disease resulting from being an obese adult. There’s only one problem — where to begin? A good start is a new site created by Salud America!, a national program of the Robert Wood Johnson Foundation based at the Institute for Health Promotion Research (IHPR) at the UT Health Science Center at San Antonio. Called Salud America! 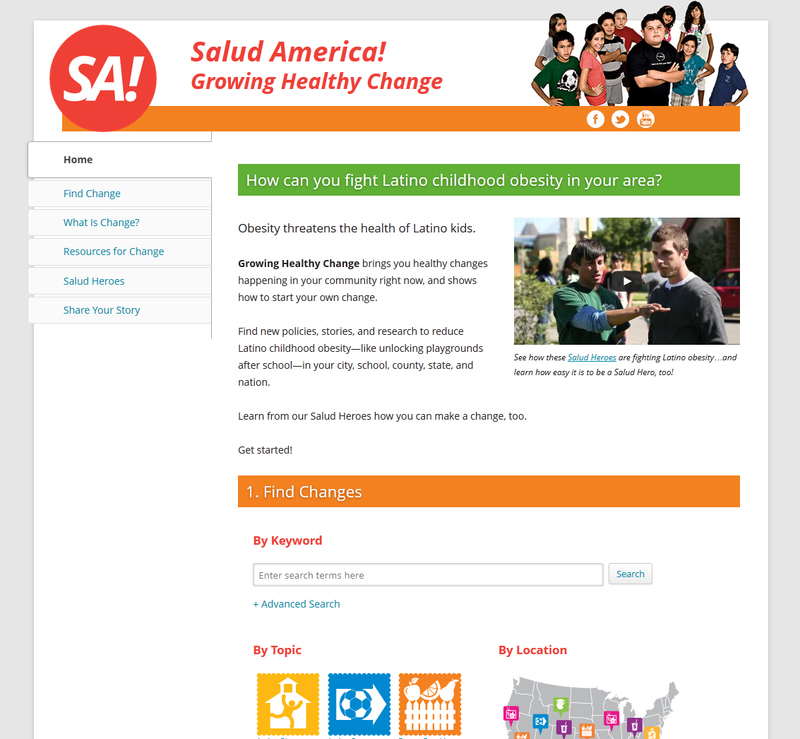 Growing Healthy Change, the site is a clearinghouse of information for anyone interested in how to battle Latino childhood obesity. Geared to be helpful to parents, communities and policymakers, the site offers a range of information and resources meant to be shared, replicated and put into action. The site allows users to create maps at the local, state and national levels to search for activities and changes communities and schools are implementing to help combat youth obesity. From which communities are working to get healthier food options in their neighborhoods or putting in more green spaces for play activities to which schools are working towards healthier school snacks, the section is like a directory of good ideas that anyone can find, read about and duplicate. On February 18, 2014, plans are for a Tweetchat about how the new site can be of help to combat Latino childhood obesity. It can be followed via @SaludToday on Twitter and everyone can join the conversation with the hashtag #GrowingHealthyChange.